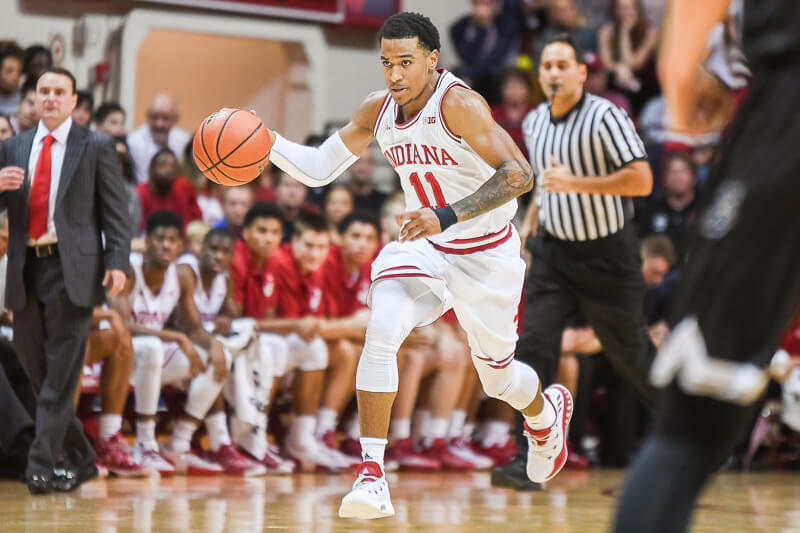 I don’t remember any Crean players wearing shooting sleeves, was that just a coincidence, or did he not allow it? I started to say Max Hoetzel did; then I remembered it was those pantyhose things. Haven’t listened to the podcast yet but will tonight, as always. Interested to hear the takes on Al Durham. I’ve been lukewarm on him thus far but was actually surprised at what I saw out of him in the few minutes played last game. Obviously it was only a tiny glimpse way too early in the season, but my big takeaway of the game was that Al is going to be pretty good. I was skeptical of him until Sunday. It’s something about his style and rhythm of play. I’m intrigued. I’m with ya on Al. I know he missed all of his 3 point attempts but he really looked like he belonged on the court. He didn’t look rushed when he had the ball in his hands and cerntainly wasn’t intimidated or afraid of the moment!! I’m anxious to see him Friday night and I hope he makes a impact on the game to boost his confidence!! Go Hoosiers!! UCLA basketball is having a bad day. Season hasn’t even started yet. Really!! Thanks bball! I will check that out. Whoa! Just read about it. Not good for them. Really good discussion. Thanks guys for another thoughtful conversation. Not to steal Jerod’s new segment from his other show, there are some signs that are starting to show themselves. First, on the bright side, our defense and turnover issues are getting better and I believe we will work out the shot selection issues. DD is able to play more minutes without fouling and everyone seems to be more aware of their positions on the D side of things. On the offensive side of the ball, some players that I hoped would step forward have not so far. Juwan, Rojo, and Josh look about like they did last year. That isn’t bad. They will have nice games and take turns leading us in scoring but I don’t see them as having made made the step from complimentary player to focal point. DD is fit and his overall game has improved, but he is not a dominant player. CuJo will give us solid minutes and can be a streaky scorer but is not ready to take minutes from our other guards. Our Freshmen are Freshmen and none have shown yet that they will compete for significant minutes. Archie seems high on Al so maybe he can give us some needed energy. For now they are in learning mode. So, it looks to me that if we are going to really surprise teams, Devonte has to become a consistent scorer and assist man. Of all the players that are back from last year, he seems to be ready to move way up in his importance to the team. Flashes of his abilities are there but he also has some of the bad turnovers and shot selection problems that Archie is working with him on. I think some of his minutes were trimmed on Sunday to send a message. I think Archie knows how good he can be and is going to hold him to a pretty high standard. If Devonte can be “good” Devonte, IU can be pretty good. The rest of the team just seems more comfortable being complimentary players at this point and we need a consistent focal point to elevate us. I hope not. That was a really annoying way to frame conversations.